I never talk about it much, but believe it or not, coming up with new content every single day for a corporate Tumblr page isn’t easy. Well, let me clarify – making good content isn’t easy. 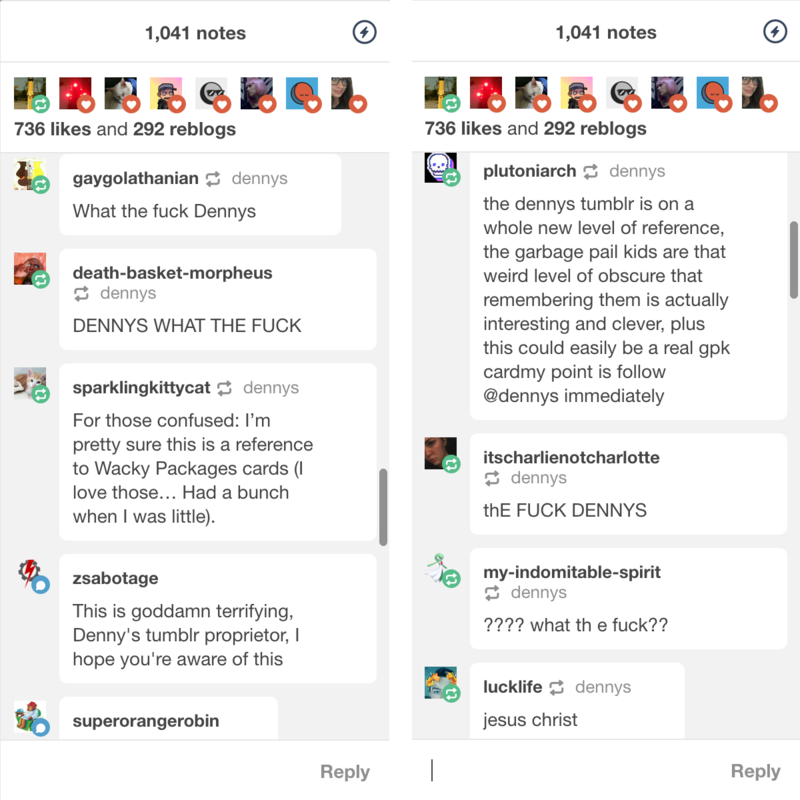 Surprisingly, this didn’t go over too well on the Denny’s Tumblr page. Most everyone had no idea what the joke was, but a few people caught on. Lots more were offended and disgusted that we would depict such violence to sell food. Justin Gammon is an illustrator and designer with a penchant for the weird. 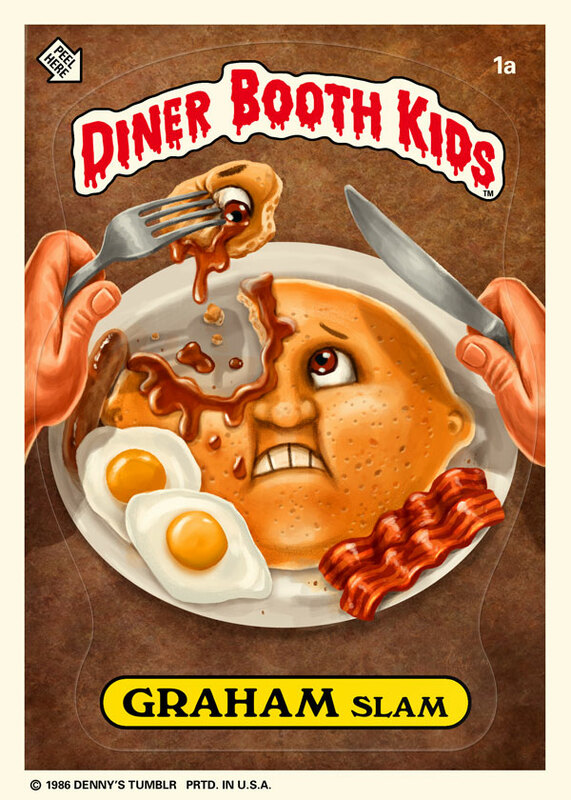 This is clearly visible in the bizarre illustrations and animations he creates for the highly lauded and award-winning social media channels for Denny’s Diner.